While spending time outdoors with your children this summer and enjoying the warm weather, it’s important to stay safe and keep your active little ones healthy. Here are a few suggestions to make sure outdoor playtime is all fun and no fail! Try to schedule outdoor activities before 10 a.m. or after 4 p.m. to limit exposure to the sun’s most intense rays. Apply sunscreen to kids about 30 minutes before heading outside (and apply regularly after that!). Avoid using scented lotions, soaps, and sunscreens—they can attract unwanted insects like mosquitoes and ticks. Know the symptoms of “dry drowning” and “secondary drowning.” They can happen soon after or even 24 hours after a child takes in water through the nose or mouth. Things to watch for are coughing, shallow breathing, or even vomiting. This article from Parents.com explains the warning signs in more detail. 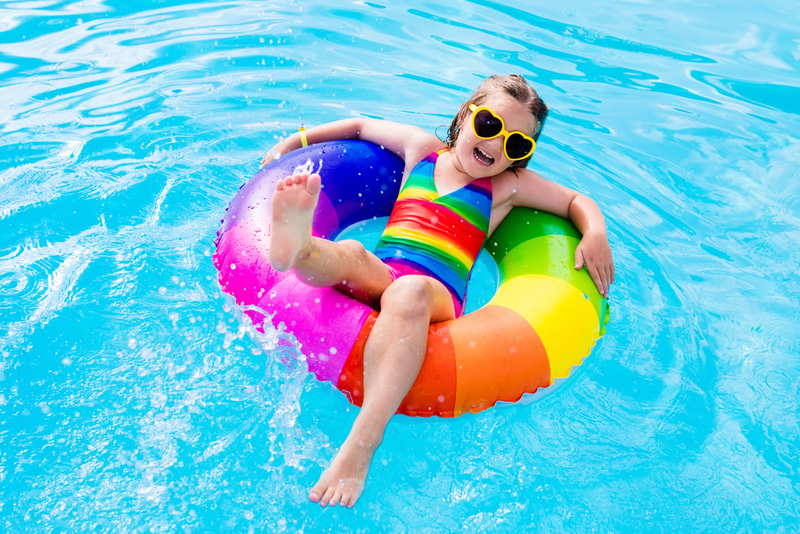 While there’s no exact number, it’s suggested that kids ages 4 to 8 should drink about two quarts of water on a hot day, and if they’re highly active, they should drink even more. Make sure they’re taking regular water breaks and keep an eye out for any signs of dehydration such as headache, fast heart rate, or dry lips. Read this article for further information on staying hydrated.